Click on the map image to be directed to the Storymap. Tip- the map is viewed best in Google Chrome web browser. 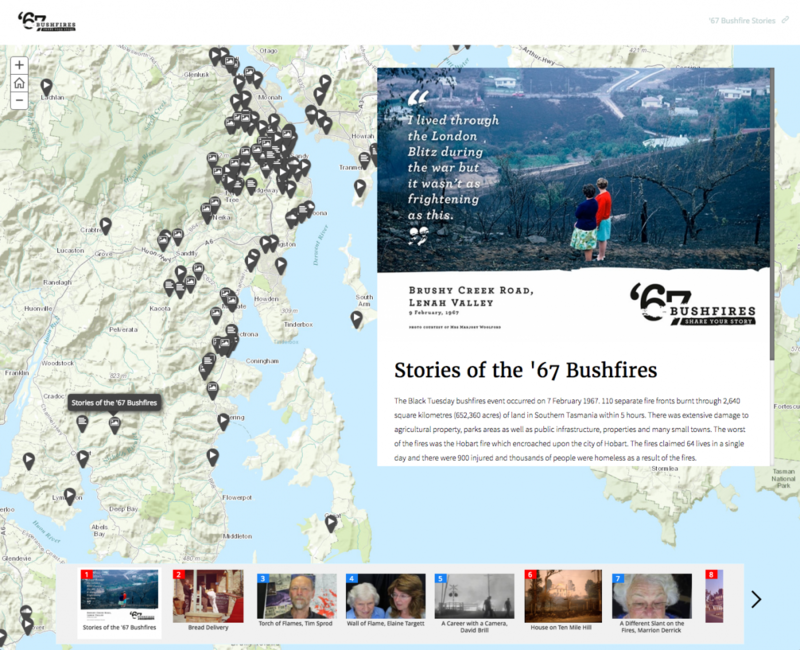 See images on the right for the various events and activities of the 50 year anniversary of the 1967 Bushfires in February 2017. The video feature of the Fern Tree Reunion event held on 6 February 2017 is courtesy of ABC News Hobart. The '67 Bushfires Share Your Story Project is a commemorative project by the Bushfire-Ready Neighbourhoods of Tasmania Fire Service and has been made possible with our partners at Bendigo Bank, TasNetworks, ABC Hobart, Cascade Brewery, Hydro Tasmania, Brighton Council, Kingborough Council, Derwent Valley Council, Glenorchy City Council, Huon Valley Council and Clarence City Council. If this experience has left you feeling distressed, please contact Lifeline by calling 13 11 14 any time or chat online at www.lifeline.org.au/gethelp.